Welcome to Williamsville Family Dentistry! Our friendly staff are ready to welcome you and your family to our convenient Williamsville dental office. Comprehensive & advanced care for all of your dental needs! Insurance accepted & affordable payment options available. We provide comprehensive, advanced dental care to patients of all ages at Williamsville Family Dentistry. Our goal is to help our patients achieve happy, healthy smiles on their budget. We accept a wide variety of insurance plans, FSAs, HSAs, and a number of third-party financing options as well. We even offer an in-house Dental Savers Plan to help your family save money on quality dental care. So, whatever your situation, don’t hesitate to see how we can fit care into your budget. Whatever level of care you need, we can accommodate you and your family here at our Williamsville dental office. 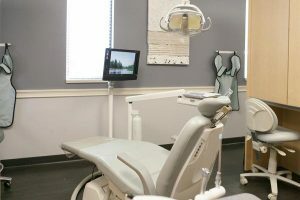 From routine cleanings and exams to more advanced care like tooth replacement, dentures and cosmetic procedures, we can do everything right here in the comfort and convenience of our office. Routine cleanings & exams to oral surgery.